Virtual pinboard website – and our favourite procrastination destination – Pinterest has made its first acquisition this week by gobbling up recipe sharing and discovery site Punchfork. 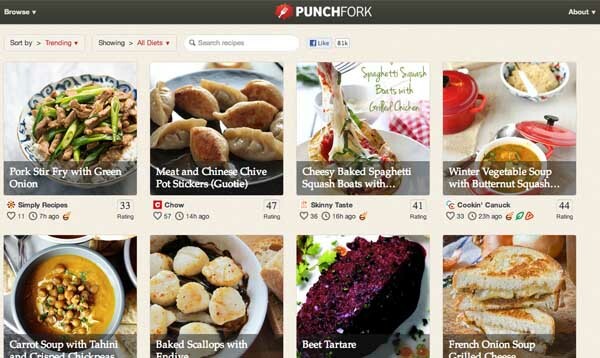 Launched in 2011, Punchfork utilises a series of algorithms to recommend recipes to its users based on sharing stats and discussions. The acquisition certainly makes sense for Pinterest, firstly Punchfork looks and works in a similar way with its key focus on imagery and liking and commenting features. It’s also clear from a quick browse that lifestyle posts, recipe sharing and foodie tips all make up a huge part of Pinterest, so the acquisition will mean it’ll pretty much own that space online. The dedicated Punchfork community may be a bit sad to learn that the acquisition does mean that Punchfork’s website, app and API will soon be shut down, which CEO Jeff Miller has already announced in an email to its members.